When it comes to flights, nonstop is usually the name of the game for families. But when there are none available—or when there’s a serious savings by adding a stop—we’re convinced otherwise. 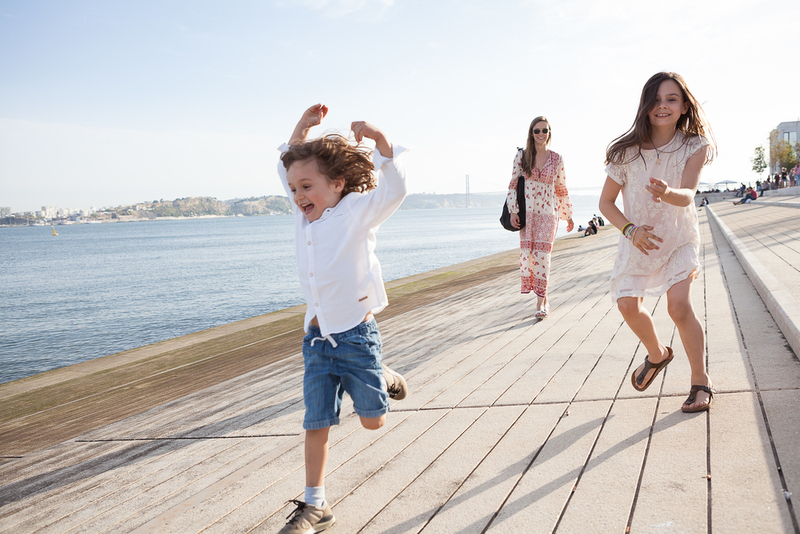 On my trip home last week from visiting family in Spain, I booked a 24-hour layover in Lisbon with my kids. We barely scratched the surface of the Portuguese capital, but it was a fantastic intro to a city, and a country, where I hope to return soon. Here’s how to plan your own mid-trip pause in Lisbon. 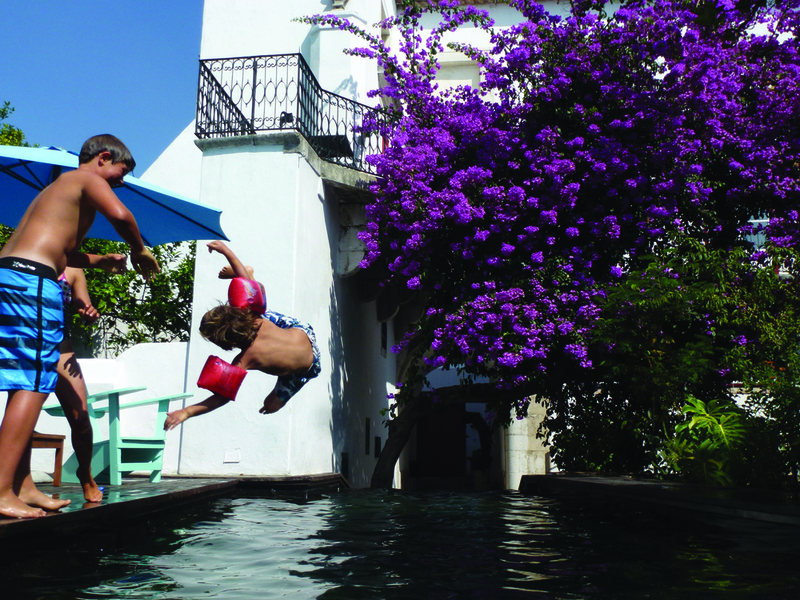 Lisbon has its fair share of nice hotels, but I picked the Palacio Belmonte for its central location and then fell in love with its history and family-friendly flair. 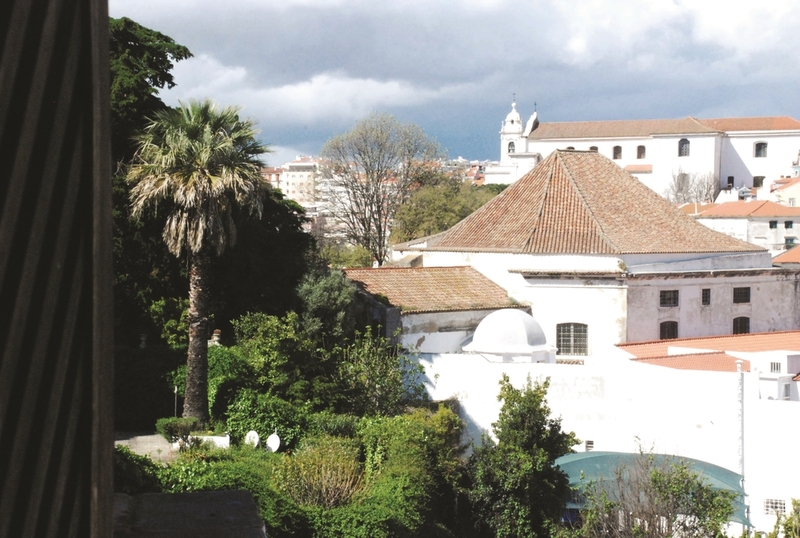 A 14th-century palace next to the Castelo de São Jorge in the Alfama neighborhood, the nine-room Belmonte feels more like a house than a hotel. It’s owned by a family with a passel of grandchildren who wanted to combine the authenticity of a regal home with the kid-welcoming attitude of a guest house. My two traipsed through the salons scouting animals on the restored tiles and playing chess games or grabbing books from the well-stocked shelves. There’s also a garden and pool, where the staff serves an organic breakfast in the mornings. If the kids had their way, we would have spent the entire 24 hours here. The sprawling Mercado da Ribeira is both traditional food market and modern food hall. Book the amazing Célia Pedroso to help you navigate, and she’ll introduce you to the vendors, explain the area’s history and lead you on a taste-testing crawl around the stalls in the central hall. She knows what your kids will eat, can point you to the cute playground next door and walk you through the cool cafes nearby so you know where to dine later. Best done in the morning when the market vendors are in full swing; come hungry for lunch. The famous #28 runs up and down the hills of Lisbon’s historic neighborhoods. It’s listed by many as a must-do, in part for the experience of a vintage trolley, in part due to the fact that most of us don’t have the energy to climb these hills on our own two feet. It’s also crowded, and you likely will wait for at least a couple to pass before you there’s space to board (forget getting a seat). Next time I would do one of the tourist trolleys that offer hop-on/hop-off tours. Sure, it’s less authentic but the trolleys are still historic, and there are nothing but foreigners on them either way. I’d heard that the Portuguese were very welcoming of children even in nicer restaurants. The rumors were correct. Given tight timing and tired kids, I stayed close to the hotel for dinner, and we had an amazing meal at Chapitô, a circus school and performing arts center with a restaurant. There’s a more casual terrace with a tapas menu, but we booked the upstairs eatery with jawdropper views over the city and river. The bartender squeezed up fresh juice for the kids, and the menu had fish, juicy steaks and home-made pasta that suited everyone perfectly. When we left at 9 p.m., there were still two families mid-meal and not a single stink-eye in the house. I gave the new photo-on-demand service Flytographer a spin on this trip. Read why I'll be using it again and again in our Travel Journal.